In our preschool class, each week we take some time to explore a new color. We try to do some fun things with it, and we create a COLOR BOOK to go home when we have experienced all the colors. Young children grasp things much easier when they experience a new concept. For example, they will have a much easier time learning their colors by being surrounded with them and having fun with them, then sitting down and doing a "page" about them. I wanted to share some things that we do in case you are looking for some color fun. First of all, as I said, we do one color a week. At school this is an extremely quick introduction as we are only at school for 2 1/2 hours per day for two days. If you are at home, you can expand on these greatly. First of all, the color is introduced on our color wall. We have a wall with all the colors displayed largely so they can always see it. Then we discuss some things we can think of that might be that color. We present this at opening time, then I have a COLOR BOX. I ask the children if they find anything of our special color for the week during play time, that they put it in the box and we will check it out after snack time. The color box can get very overloaded, but they have fun with it. Then after snack we go through the color box to see what they find. We then we have a game of seek and find. The children go around the room and find something of the color we are looking for. As the year progresses, I might ask them to find more than one color during the seek and find. We also wear our color of the week one day. I hate to say it, but this sometimes stresses the parents--"I don't think we have anything of that color!" I try to tell the parents it can be anything, a sticker, a bow, a sock, etc. I think it's beneficial if the child can help the parent pick out the item. A final thing I have started this year is to have a colored snack one day a week. For red we of course had a red apple, this week was yellow: we had some pineapple. I haven't actually figured out what to do for blue yet...any suggestions? 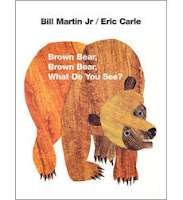 When I introduce the colors I always read the book "Brown Bear, Brown Bear, What do You See?" by Bill Martin Jr., illustrated by Eric Carle. This is a great book to introduce all the basic colors and also allows the children to participate in the story. Great ideas!! While teaching kindergarten over the past 20 years, I have found that my students love nothing more than to mix colors. They will spend countless hours mixing colored water with our Splash of color kit (http://www.stevespanglerscience.com/product/1150)The best part is that the little coloring tablets don't stain the kids hands and the little crystals allow them to take home their favorite colors!! !